For many, self promotion is tough, especially on social media. Although it may be uncomfortable to talk about yourself, it's important to have a compelling Twitter Bio to attract followers as well as tell other Twitter users who you are. In this blog post, we'll go through a 4-step process to help you achieve an intriguing Twitter Bio. Make a list of a few fun facts about yourself that you'd like to share with Twitter users. This could include hobbies, your workplace, accomplishments, etc. Keep in mind the 160-character limit that Twitter has put on the bio section. With that said, star a handful of the items that you want to include in your bio. Look to see if some of your traits or skills have a hashtag or handle. For example, if you love swimming, you could include the hashtag #swimming in our bio. Then, your twitter bio will be attached to that hashtag when anyone searches for #swimming on Twitter. You could also tag your company in your Bio to direct users to that account as well. Not all bios need to be in paragraph form, you can always do them in bullet-point form and separate them with a comma or some type of symbol you like. We hope this post will help you take your Twitter bio to the next level. 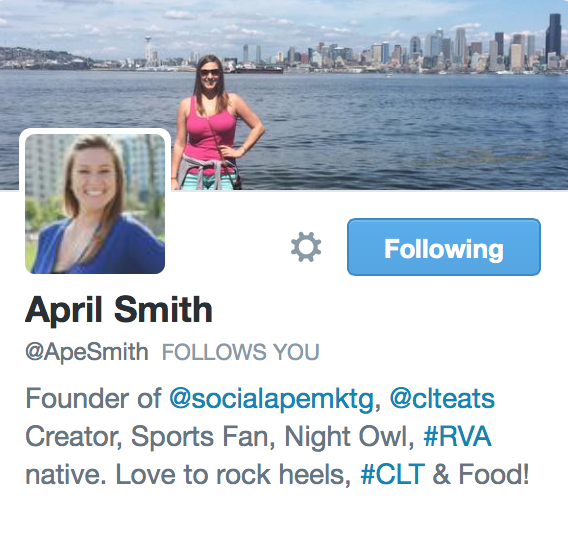 Be sure to share with use your bio upgrading experience by tagging us at @socialapemktg.